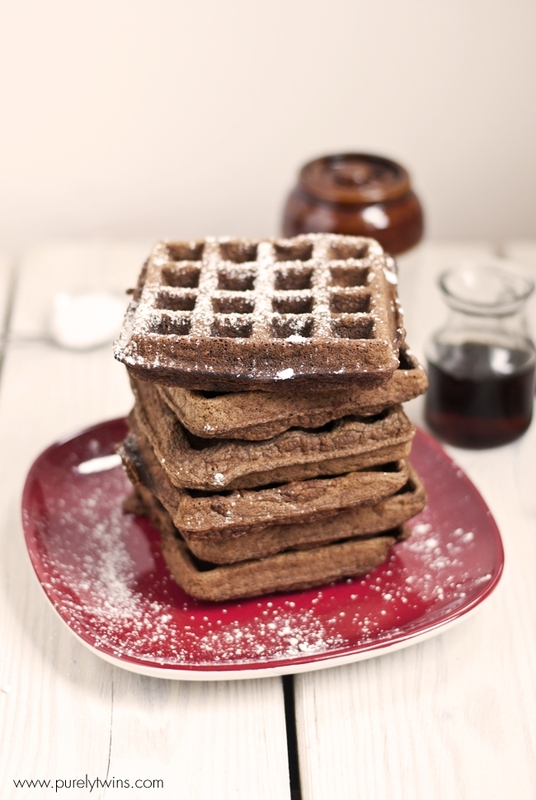 A light, soft cake-like delicious gingerbread waffles. 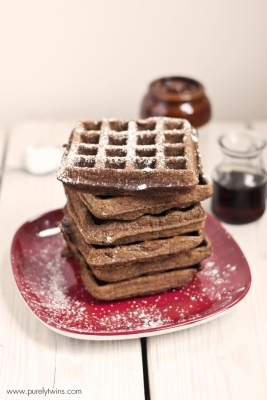 Waffles that are grain-free and gluten-free. Made with no flour. Place peeled plantains into a food processor along with eggs, baking soda, and molasses. Next add in spices and coconut oil. Have waffle maker on and ready to do. Pour gingerbread waffle batter into waffle maker. And cook according to waffle maker instructions. *could make as pancakes or even muffins. Remove from waffle maker and top with maple syrup. Or a little powered sugar.